I tend to keep Borax around. I use it as a detergent booster and to clean the toilets. 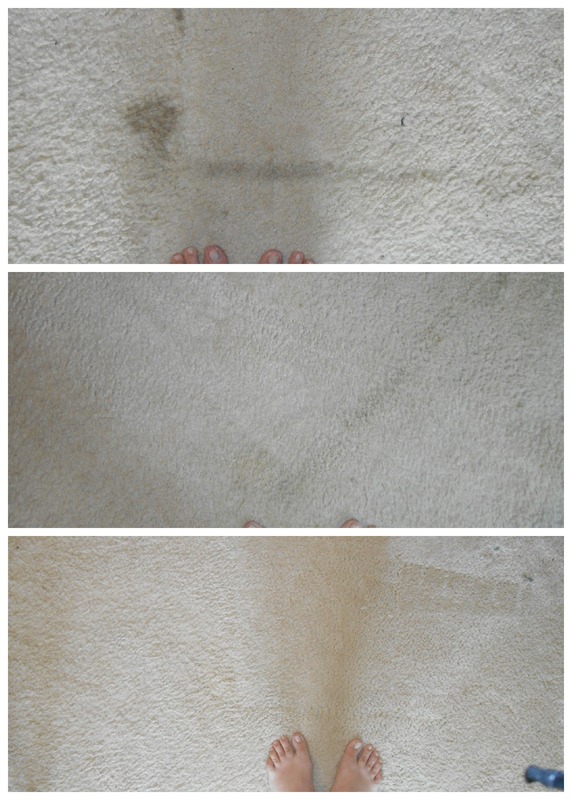 I decided it was time to try Borax as a carpet stain remover! 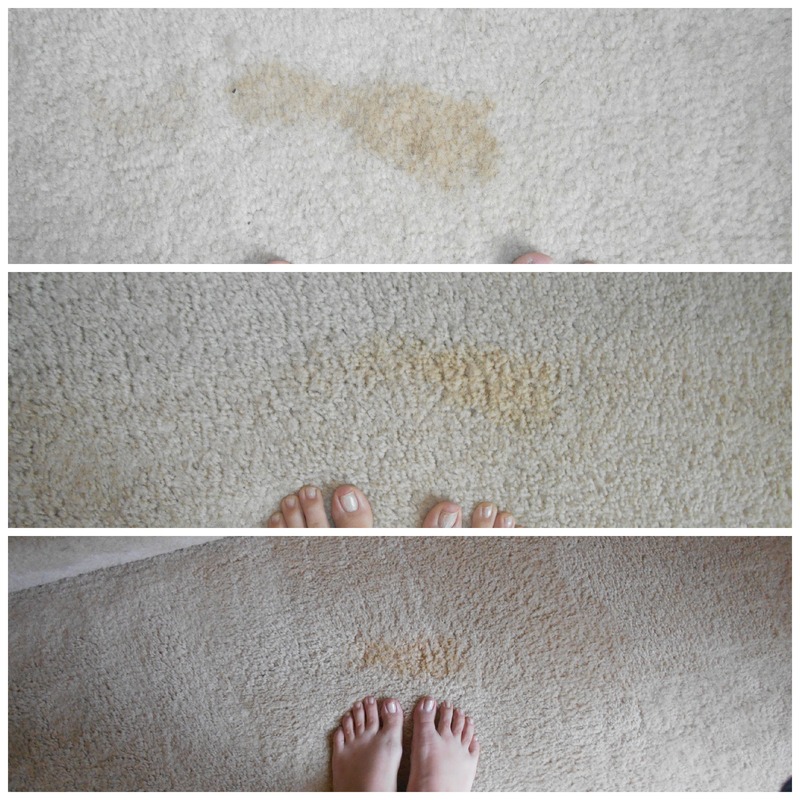 We had 4 stains in our big family room. We moved into this house only 5 months ago. 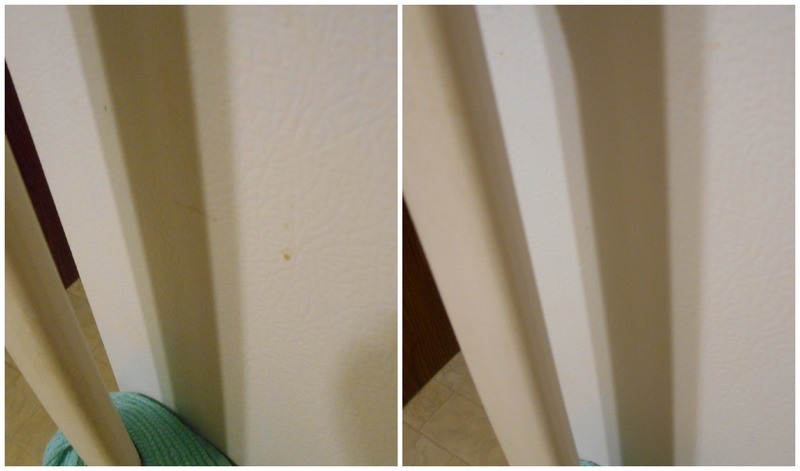 The most irritating part about the stains is that my husband, me, and our dog did not cause any of the stains. Crazy, right? They all appeared after having friends and family over various times. (Now when we host events, no matter how few people, NO ONE is allowed to have food or drink over carpet.) But that means that by the time we learned about the stains, they were pretty set in. One of the stains looked like our dog peed on the carpet and we never cleaned it up. I’m sure you can guess how I, writer for an organization and cleaning blog, felt about being asked that question. It was embarrassing, and it was time to do something. We don’t have a carpet cleaner. 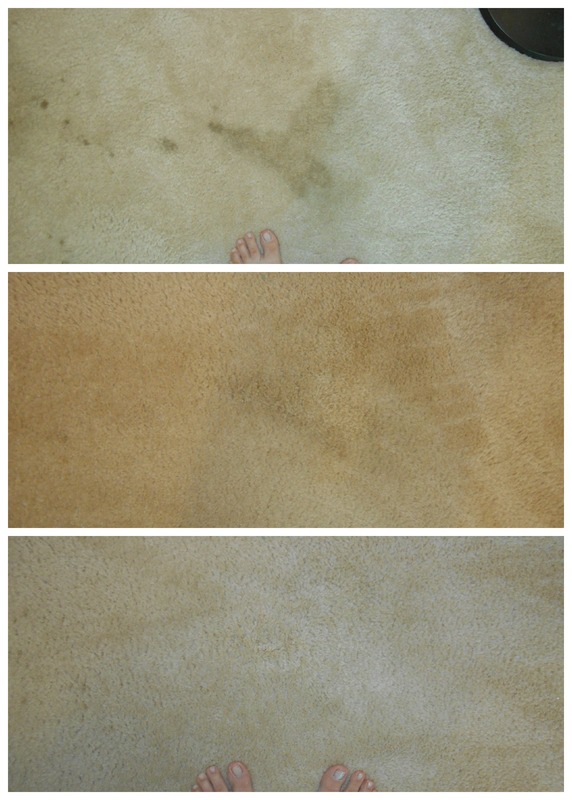 This was the first time of attempting to clean the stains, so you see the progression of set in and never dealt with to treated once and treated twice. Stain 1 was dark to start, but small. My toes are in a lot of the pictures to show you relative size. 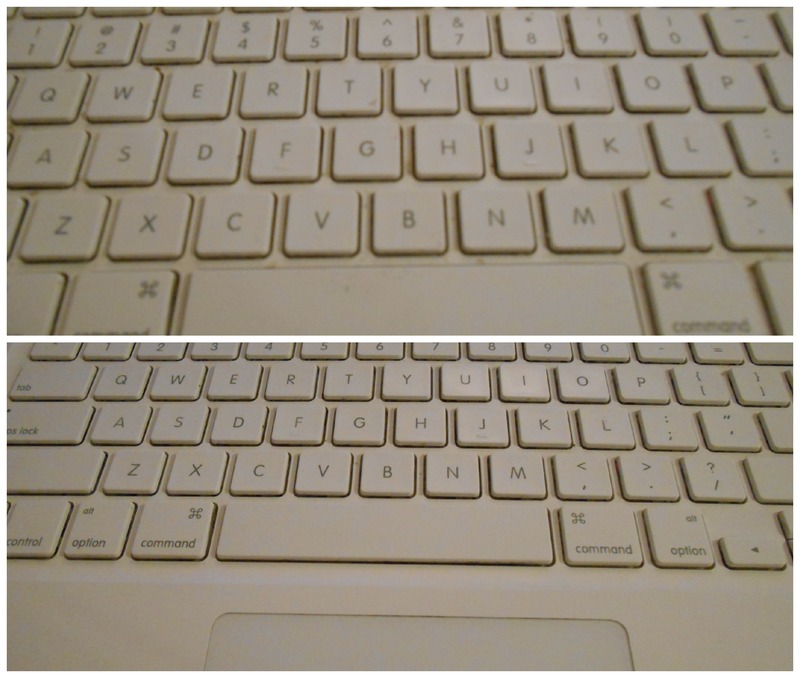 As you can see, the color lightened a lot and it lifted a good amount. Stain 2 was the one that looked like dog urine. 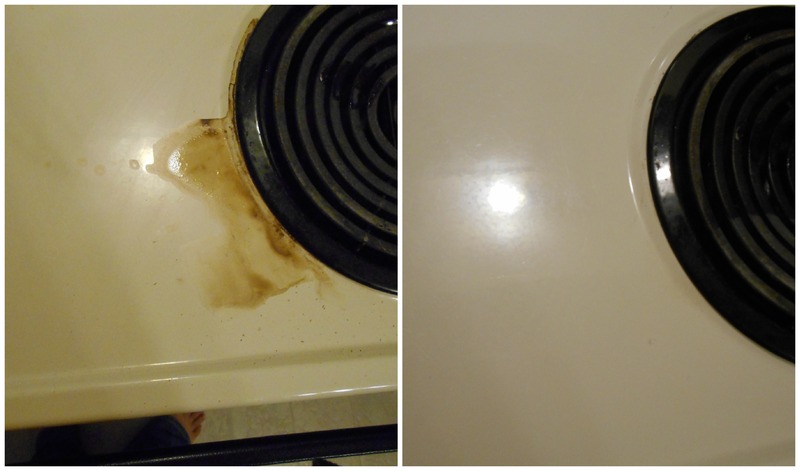 It was a lighter color than all the other stains. It didn’t fade much. I really wonder what this stain was from so I can treat it appropriately. Third stain was a right angle and we have no idea what it was from. By the second treatment, the stain was pretty much gone! Stain 4 part 1. Pretty much gone!! Stain 4 part 2 had a lot of little dark spots and a big lighter circle. It faded a lot by the first treatment, but I went ahead and treated again and the color from the carpet got removed for some reason. It’s not obvious though and I’ll take it! The carpet cleaner was super easy to make. 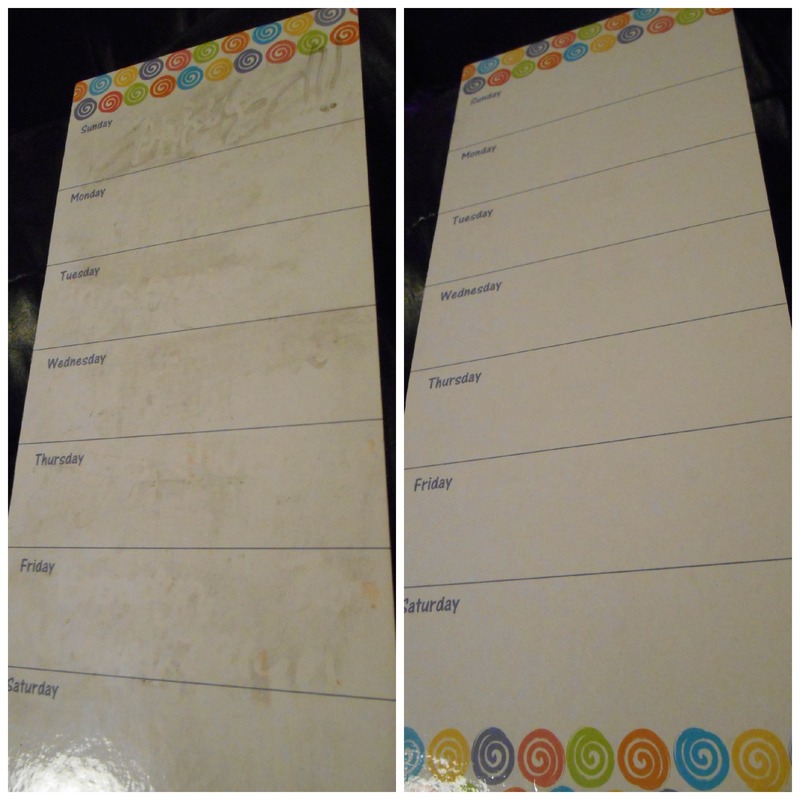 I got my cleaning recipe and directions from this page. 1/2 cup Borax added to 2 cups of warm water. I mixed it up pretty good with a fork and for the second treatment, I dug into the bowl and really made sure I got some Borax on my rag instead of just water. Take the Borax/water mixture and blot onto stain using a white towel. Do not soak the carpet! Using a new white towel and plain cold water, sponge area to remove cleaning solution. Again, do not soak the carpet! Blot dry. 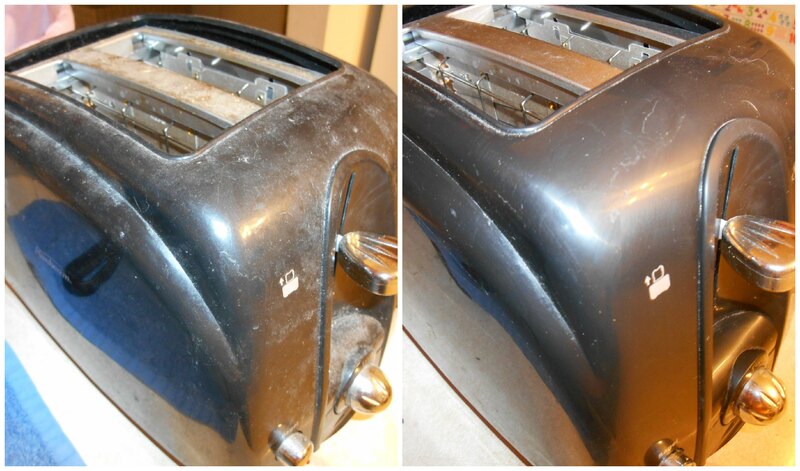 Let dry (I let it sit overnight – our dog is shut in the room with us at night). When completely dry, vacuum. I repeated the steps twice over two days. 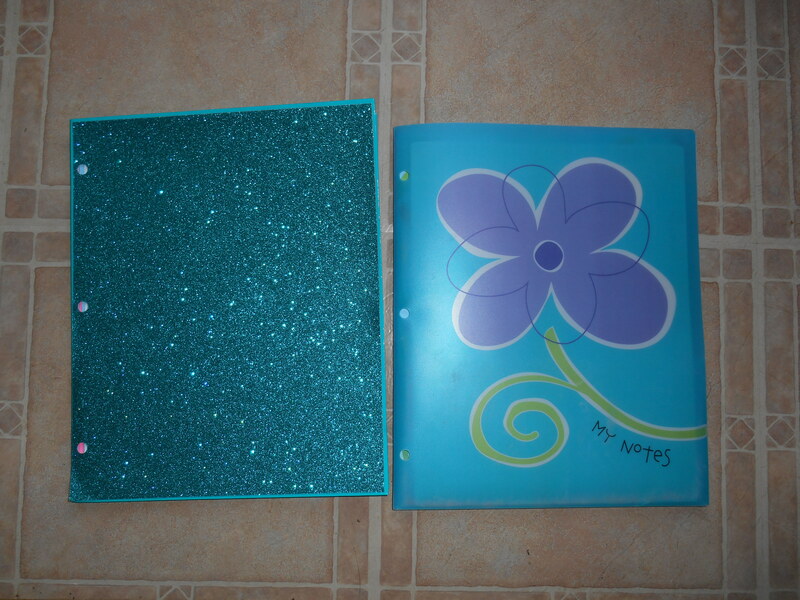 I am pleased with the results! 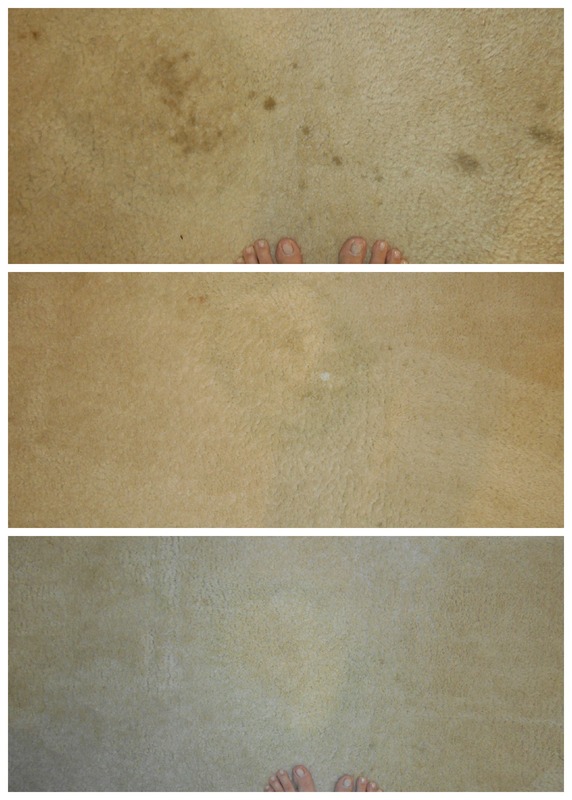 How do you clean up food/drink stains on your carpet? 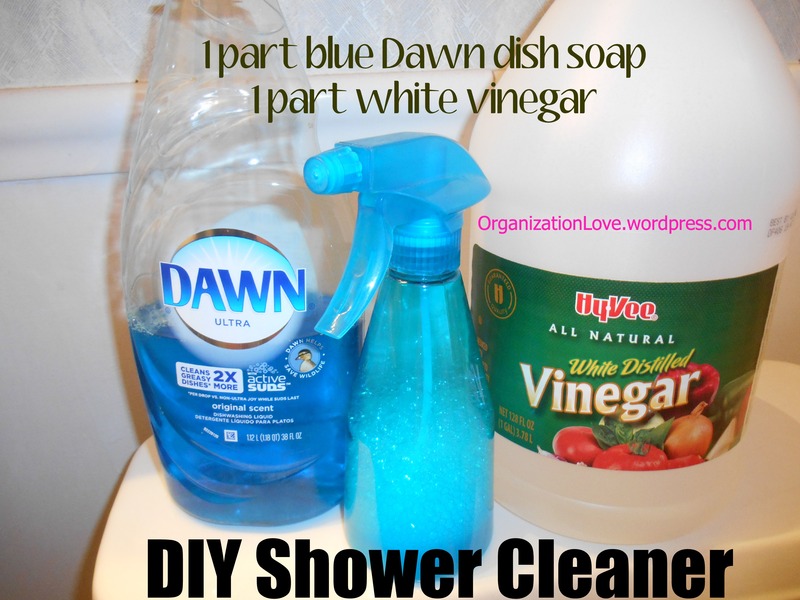 I decided to try the blue Dawn dish soap and vinegar mixture for cleaning showers that was circulating Pinterest for a while. I tried at our old house, but I wasn’t sure about it. I tried using just a little Dawn, and later I tried squeezing the Dawn into the shower first and then spraying vinegar over it and letting it sit. Don’t do that! It doesn’t work. This time, I put some vinegar in a spray bottle, and an EQUAL amount of Dawn. 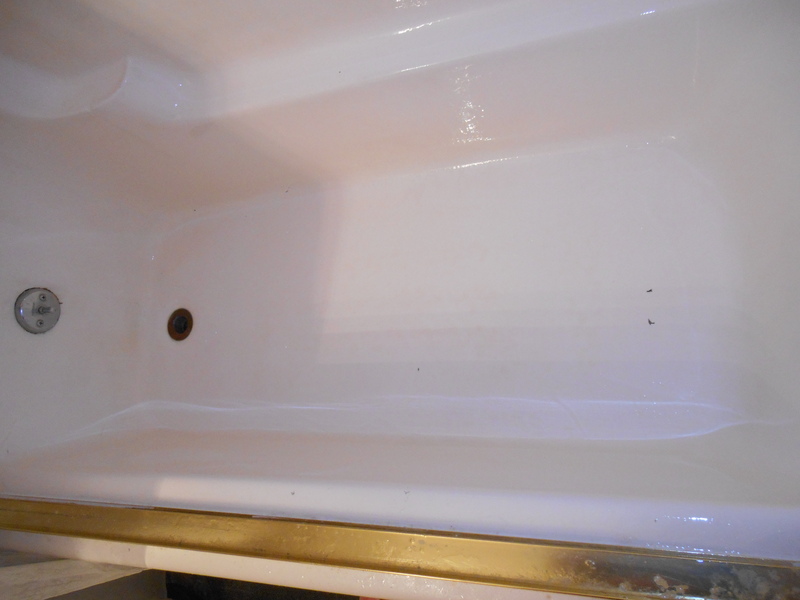 I shook it up really good and sprayed – rather, saturated – the floor and walls of the shower. I let it sit for an hour. 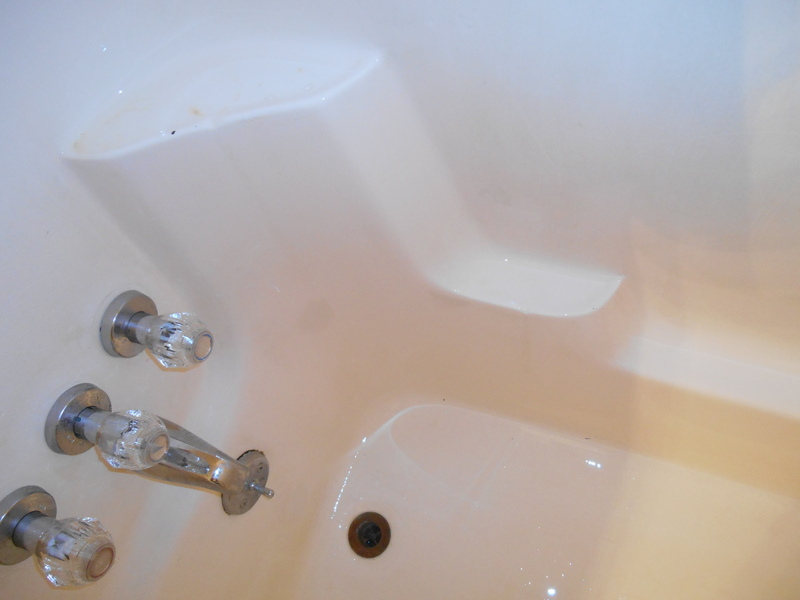 I did take pictures before and after, but the truth is, my shower didn’t really look all that dirty to begin with. I was pleased with how shiny the floor looked post-cleaning, though. Vinegar and dish soap are two things I tend to always have on hand. I happen to use blue Dawn as my dishwashing liquid of choice anyway, too. I’m pleased with this cleaning recipe. The shower is one of my least favorite things to clean at home because of all the bending. 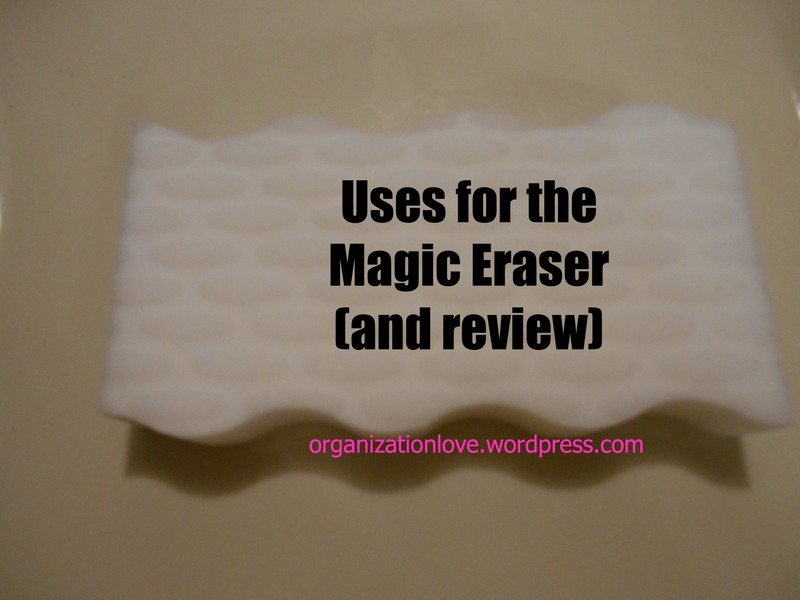 This recipe makes the bending time spent while cleaning the shower much less! The only thing I have concerns about is how long the mixture will last. I have some left over from today’s cleaning but I don’t plan on cleaning the shower again for a week or so. I’ll let you know! NOTE: Right at an hour, my husband came home from work (landscaping) and needed a shower right then. 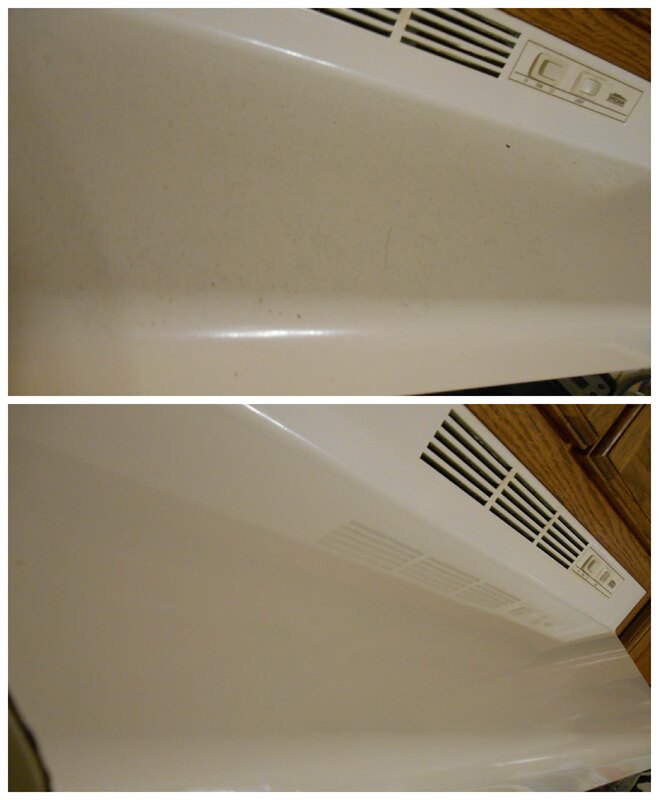 It was really quick and easy (no real scrubbing power required) to wipe down the shower and walls and then rinse. Rinsing took the most time! What’s your favorite Pinterest cleaning recipe? Oil Pulling (Day 2): Too Much Oil! I’m not planning to post about oil pulling daily, but I did have another thing to say today. Since my experience with one teaspoon went so smoothly yesterday, I tried a tablespoon of oil today. No problems with the gag reflex, but OH MAN was that a lot of oil in my mouth. And as time went on and my produced saliva was added to the oil… I had my lips closed but the oil was leaking out. Gross! Plus, my jaw ached after 20 minutes. Any experience with small mouths or big gag reflexes and having to reduce the amount of oil? I just finished oil pulling for the first time and I’m going to record this experience. I only used a teaspoon of coconut oil (unrefined, extra virgin, organic; set me back about $16 for a big 29 oz jar which will take me a long time to use.) Tomorrow I will try a tablespoon of oil since I handled the teaspoon MUCH better than I thought. The oil was still in a pretty solid state, so I let it melt in my mouth first. Then I started swishing. I had a timer set on my phone for 5 minutes. But I had not gagged or had any problems in the 5, so I set for 5 more. And then 10 more. I was able to go the full 20 minutes that is recommended. My mouth does feel clean, but I’m probably going to brush my teeth this morning after breakfast anyway. Some people say oil pulling reduces the need to brush, we’ll see how I feel. The only thing is that I feel like I need to spit a bunch now because I still taste coconut-ty in my mouth and I am worried about swallowing toxins. 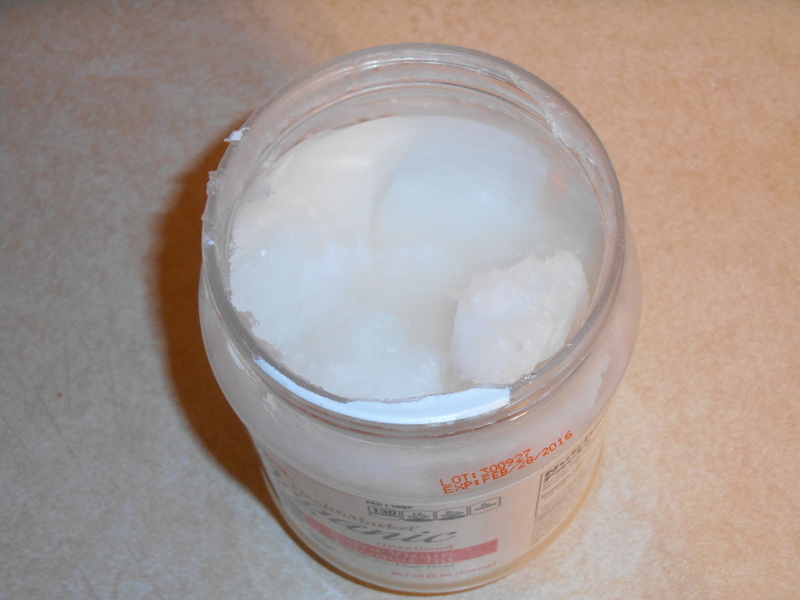 I finally decided to spend the money on coconut oil because I have had some sore spots on my gums. I have no idea what’s going on there, but before I run to the dentist, I’m trying this for a while. When I update again on how oil pulling is going, I’ll talk about how my sore spots are. I doubt I have any cavities that need healing – I’ve had just 1 in my lifetime. I’m excited to see if I stop having headaches, too. They aren’t daily, but probably an average of weekly or more often, and they are BAD when I do get them. I heard oil pulling might help. Here goes! Drink a cup or 2 of water first thing in the morning to activate your saliva. Then, take 1 Tablespoon of unrefined, organic oil + swish around in your mouth for 20 minutes. Spit into trash can (not sink, it WILL clog your pipes) when you are done. Now filled with spit and toxins, the spit will look milky white. THE END! That’s it. Do you oil pull? What’s your experience been?